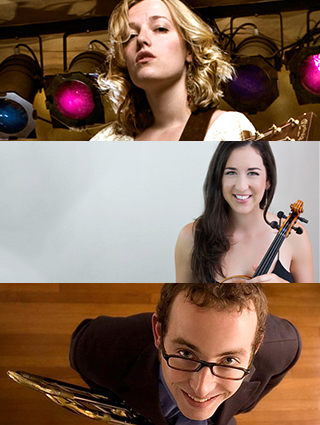 Baur’s ongoing Salon Chamber Series; this is the first of our two “City on the Rise” concerts, our new series within a series that focuses on introducing you to three artists who are new and upcoming in the Denver area. Come see the talent that just landed on our doorstep! Jointly presented by Denver Eclectic Concerts and Music Appreciation Society in Baur’s historic and acoustically fantastic Salon. A musician with a diverse musical background, John Sipher is equally comfortable performing orchestral, chamber, jazz and commercial music. A proponent of new music, he is active in commissioning new pieces from living composers. John joined the Colorado Symphony Orchestra as principal trombonist for its 2015-2016 season. Prior to that, he held principal positions with the Richmond Symphony Orchestra, the Syracuse Symphony Orchestra and the Virginia Symphony Orchestra. 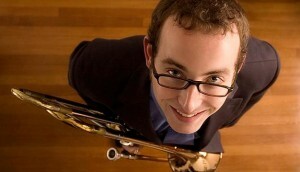 John has also appeared as a guest principal trombonist with the Los Angeles Philharmonic, Baltimore Symphony, Detroit Symphony, and the Rochester Philharmonic. John is also an accomplished teacher and has presented master classes and recitals throughout the country. While not performing, John enjoys singing and playing the ukulele, and hiking with his beautiful wife, Hitomi, and loyal dog, Django. 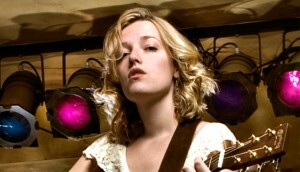 Gabrielle Louise is a nationally touring troubadour noted for her poignant lyrics and lush voice. The daughter of two vagabond musicians, Gabrielle inherited the genetic predisposition to wanderlust and song. Gabrielle Louise’s music is anchored deeply in folk, but undeniably drawn to rich harmonies and melodic adventurism. Her sound has the earthy feel of early Joni Mitchell while also veering into the spirited delivery of fellow genre-hopping artist Eva Cassidy. Known for her authenticity and candor on stage, her performances are notably present and sincere, a professional presentation of her private creative world. Unafraid to take a random musical escapade in the name of inspiration, Gabrielle is at one moment folkie and ethereal, the next moment a smoky jazz chanteuse. Gabrielle has been entrusted to open for or shared the stage with greats such as Richie Havens, Patty Larkin, Eliza Gilkyson and Guy Clark. 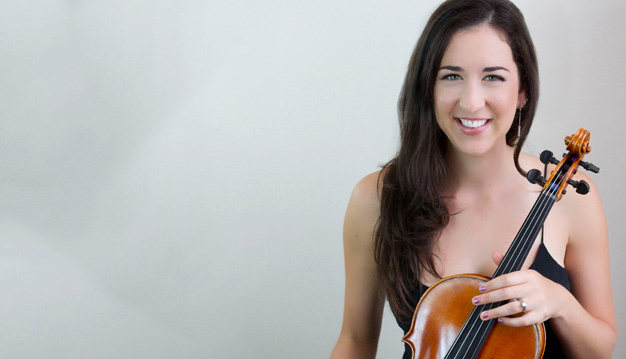 Violist Leah Kovach grew up in Salt Lake City and is thrilled to join the Colorado Symphony and return to the Rocky Mountains! Leah has performed and taught across four continents with ensembles such as the Schleswig-Holstein Music Festival, the New World Symphony and the Houston Symphony. 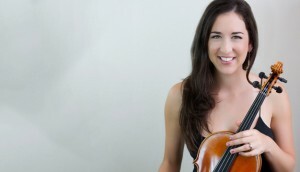 A versatile musician, Leah performs in a wide range of styles, from historical instrument concerts with the Mercury Baroque Orchestra to accompanying rock and jazz stars such as Rod Stewart and Harry Connick Jr. Recent engagements include a two-year fellowship in the Da Camera Young Artist Program for chamber music and community outreach, performances with the contemporary music ensemble Musiqa, as well the acclaimed Britten-Pears Young Artist Program in Aldeburgh, UK.Leah is committed to promoting new music, and has performed world premieres of works by renowned contemporary composers John Harbison and Ned Rorem. 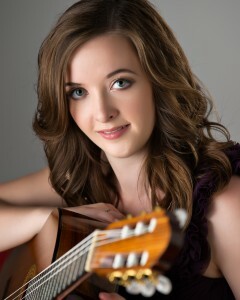 Also performing tonight is Laura Husbands, a British guitarist with multiple prizes across the US and Europe. Laura gained her bachelor of music in 2008 with first-class honors and successfully achieved a postgraduate diploma with distinction in 2009. To continue her love of music, and most importantly the guitar, Laura moved to Denver in 2009 to study with Ricardo Iznaola. She graduated with an artist diploma in 2011 and master’s degree in 2013 from the Lamont School of Music. She was awarded Outstanding Graduate Student in Performance and Outstanding Graduating Classical Guitarist. Laura has experience of playing with a number of orchestras across the US and Europe and is currently the director of the Denver Classical Guitar Competition and instructor of guitar ensembles at the Lamont School of Music. Our simple biased belief is that handmade music does this better than any other music. And we know that Denver has an embarrassment of riches when it comes to thoughtful, expert musicians. We want you to come hear them, talk to them in a more informal setting. We think you’ll find out why the music salons in days of old were such exciting incubators of creativity. It surely had something to do with the amount of personal connection between the creators and their audience. Denver Eclectic, proud sponsor of our artists, in our city, a “City on the Rise”.